The process of choosing the perfect graduate school can be both exhilarating and scary, as you consider the next phase of your life. But many artists approach this challenge with a faulty set of assumptions, while failing to explore the most important question. In many fields within the arts world, there is a notion that advanced degrees are requisite. It’s not even a debate. That’s just what we do. Master’s Degree, then Artist Diploma, and then in many cases, the Doctorate. Now, I’m not one to prescribe one path over another. If you decide to pursue advanced degrees, I wish you the best. But before signing up, ask yourself why. What’s your true motivation? Others claim that advanced training is essential in order to have more time to improve their artistic skills. Fair enough. Arts school is a great place to do this. But when you’re a better practicioner, in two or four or ten years, with all kinds of diplomas on your wall, then what? Will these outstanding skills entitle you to professional success? And if improved technique is your solitary goal, why not just take private lessons? In my experience, here’s the number one reason arts students go to grad school: to postpone the inevitable. To buy a few more years before they have to earn a living, start paying back student loans, and grapple with “grown-up” issues. Music school may be challenging, but at least it’s familiar and safe. There are all kinds of paths to a successful life, and not all require advanced degrees. Be honest with yourself. If your primary motivator for attending grad school is that you don’t know what else to do, and you’re too scared of the real world, seriously consider taking some time off. Use that occasion to determine what you truly want from life, and architect a solid plan for getting there. There are many wonderful reasons for enrolling in graduate programs in the arts. Denial is not one of them. But times and attitudes have changed. Most people now realize that a wide variety of institutions are capable of providing quality educations, which is absolutely true. They also understand that even the most famous schools have produced duds and incompetents. So instead of focusing solely on the “where,” employers and other opportunity providers are more interested in the kinds of experiences you’ve had. Did you study abroad? Tour? Win the concerto competition? Make recordings? Initiate an art exhibit? Intern with the ballet? Found a service organization? Of course, you should still choose a great school. But different environments are good for different things. Make sure you know why the school you choose is outstanding, and take full advantage of it. The best opportunities often lie beyond the obvious choices. Working closely with a strong and revered private mentor can be a wonderful process. But (if you’re doing things right) many more aspects contribute to your educational success beyond private lessons. These additional factors should be considered as well, and weighed heavily in your decision. But there are many other skills and experiences he desperately needs, and shortcomings that should be addressed: recording, touring, marketing, booking gigs, etc. He doesn’t yet have a website, hasn’t commissioned much, and still needs to figure out his brand and what makes him different from the competition. In my view, while a good private teacher would be nice for this student, it should be a pretty low priority item. Even if you still have to get your artistic chops together (as most of us do), many additional factors beyond the private teacher should be considered when researching graduate programs. In Part 2 of this series, I will unveil the most important question to ask when looking at grad schools. Love music, but hate to starve? Hoping to achieve more success with your career? Visit www.SavvyMusician.com for a Resource Center with 1000+links, valuable articles, info on the most relevant music career book in print, and more. Practice that technique. Work on craft. Draft grant proposal. Begin passion project. Be a good friend. Go to concerts. Take kids to the ballgame. Leave a legacy. Develop website. Improve skills. Read blogs. Market CD. Rewrite bio. Pay bills. Build brand. Meet spouse. Teach. Study. Network. Sleep. Think. Eat. Compose. Gig. Who has time to do all this stuff? 1) Write it down. Study after study have shown that people who write down their “to do list” have an exponentially greater chance of getting things done than those who don’t. 2) Prioritize by urgency. Rate each activity on your list in order of urgency. 3) Prioritize by importance. In a separate column, rate each activity in order of importance as they relate to overall life goals. 4) Compare ratings. In all likeliness, these two hierarchies look quite different. “Urgent tasks” may be taking over, preventing progress on truly important aspirations. 5) Re-prioritize. Find ways to reduce the number of urgent-but-less-meaningful tasks. And re-think your priorities—there should always be at least 1-2 life goals in your urgent column! 6) Get more done: do less. Most of us have about 80 pressing things that need attention at every moment. Yet when overwhelmed with demands, little noticeable progress in any aspect often results. Pick periods of your life to focus primarily on one or two major goals, rather than trying to do everything at once. 7) Map your activities. Many artists have no idea where all the time goes. To find out, keep tabs on everything you do during an average month. Then analyze the results, and make changes as needed. You will be enlightened by the results. 9) Schedule your schedule. Compose a detailed plan showing how your minutes will be allocated throughout the week. Then stick to it. Though this requires a time investment upfront, the efficiency that results makes the investment extraordinarily valuable. 10) Be specific. Sure, you scheduled an hour for “personal marketing.” But what does that mean? Work on web design? Network? Write a news release? Clearly specify which objectives should be accomplished during each window. This way you’ll know just what to do, and can clearly observe whether you made adequate progress. 11) Get into routines. Make your schedule as consistent as possible. Habits save time. 12) Don’t procrastinate. When it’s time, just do it. Don’t permit excuses, distractions, or delays. 13) Just say “no.” There may be hoards of people asking you to help with this and work with that. But if you don’t have time, politely decline the offer. Saying no doesn’t mean you’re a bad person! They will understand. 14) Delegate and outsource. There are undoubtedly time consuming, non-specialized tasks in your life that others could help accomplish. Farm it out. Find a local high school student to help for a small fee. Have your niece do the work in exchange for flute lessons. Do you know about virtual assistants? These workers are available for hire to do just about any kind of clerical work imaginable. 15) Take a break. Nobody can work 24-7. Most of us wind up taking breaks periodically throughout the day, and then feel guilty about them. Instead, schedule breaks into the master plan, and enjoy every moment. Work when you work, and play when you play! 16) There is never enough time; there is always enough time. Life may always seem busy, but if something is important enough, there is a way to get it done. Most of the artists I know are highly educated. Many have multiple degrees in their field of expertise. Along the way, they typically work closely with several mentors who move them forward in their journey towards artistic excellence: private teachers, classroom instructors conductors, etc. Obviously this form of apprenticeship is quite valuable. But most never even consider adopting a career mentor. Without doing this, is it really such a wonder that we have so many outstanding artists who are unprepared to thrive when it comes to professional demands? Imagine how helpful this practice would be! Artist mentor. An artist who has achieved success in an aspect of the industry that is part of your career profile. For example, if you hope to work as a freelancer, find someone who does this now. Entrepreneurial mentor. An entrepreneur in the old fashion sense—someone who has started and runs a business. Serial entrepreneurs (people who have begun many businesses) are even better. The best candidates often have little or no knowledge about music, so conversations can focus on business and philosophical concerns. Don’t be shy. You’re not asking for a job or money or their child’s hand in marriage here. Just guidance. Most people love to talk about themselves, and will be flattered by your offer. And what’s the worst thing that can happen? They turn you down or don’t respond to your request? No biggie…So just ask and see what happens. Find mentors you don’t currently know. Working with people you haven’t previously met has several advantages. It not only expands your network, but gives you experience approaching someone new with a request. This is a valuable transferrable skill that all musicians need from time to time, whether approaching a potential donor, presenter, contractor, or other new contact. Look beyond the rich and famous. Sure, if you can make a connection with Wynton Marsalis, Steven Spielberg, or Donald Trump, go for it. But the rich and famous may be too busy to handle your request. And the issues they face may be less pertinent to your situation than those of a mid-level artist. Geographical issues. The obvious advantage of having a local mentor is that you can meet in person, perhaps over lunch (on your dime!). There is no better way to solidify relationships than face to face encounters. But even if your mentor lives far away, it is possible to have personal encounters over the phone, through video chatting, or other forms of communication. Mustn’t be your mirror image. Just because you play the violin doesn’t mean your best mentor has to be another fiddler. In fact, perhaps finding a saxophonist (or even a dancer) would be more helpful. They may be able to shed a valuable and contrasting perspective. Supplement weaknesses. The best mentor is someone who has skills that you don’t. If you want to raise money, but haven’t fundraised before, find someone who has. If marketing terrifies you, locate a promotional wizard. The purpose of having a mentor is to grow. The mentor boomerang. You’re just asking for advice, no? But picking the right mentor often opens doors down the road. In my last post, I argued that prospective arts students should favor schools that actively prioritize career development and entrepreneurship. After all, this shows a commitment to producing working artists, as opposed to simply outstanding ones (who are likely unprepared to deal with professional realities of the 21st Century). Even if you ultimately decide on a career path outside of your area of study, these kinds of experiences can truly help you succeed. In this article, we’ll look at wonderful career development initiatives currently in place in some forward-thinking institutions. Obviously, the more a school does on this front, the more commitment to professional success they demonstrate. Most of my research comes from looking at music schools, but outstanding programs in other areas of the arts have taken equivalent steps. I have no interest in advocating or discounting any particular school here. (If anything, I hope this post provides inspiration to programs currently falling short.) For this reason, university names are not listed below. Please note: the phrases arts business and arts administration denote something different than what is addressed here. Typically, arts business programs focus on preparing students to work with for-profit companies such as the recording industry. Arts administration majors learn about the non-profit sector. Contrastingly in this article, I’m more concerned with the development of performers, composers, dancers, actors, visual artists, private teachers, and other largely self-employed individuals. Some schools have part- or full-time arts career counselors on staff, available to meet one on one with students. In other cases, universities hire career specialists who work with students from all majors across the university. While these employees can be helpful for general issues (resumes, traditional job interviews, etc. ), someone who is not an artist will likely be unprepared to address the nitty-gritty and specific concerns of the arts industries. Some schools regularly organize talks and workshops by faculty members and visiting professionals, addressing various professional concerns. Some schools offer mock interviews and auditions, proceeded by preparation sessions and followed with feedback. Some schools require arts majors to enlist in some sort of internship program. Others highly recommend them, and maintain a database of potential opportunities. A few schools sponsor wonderfully creative competitions where students are invited to pitch projects that are evaluated on both artistic and entrepreneurial factors. Winners receive seed money to enact their proposal. A few schools now offer ensembles where students are required to do more than simply show up on time and be prepared. Participants are asked to play an active role in program development, marketing, publicity, setting up performances, working with presenters, or even the overall ensemble vision. Some schools hire graduate students to teach courses. Obviously, this hands-on job training is beneficial for those interested in educational work. It also looks great on the resume. Many schools contract gigs (weddings, bar mitzvahs, private parties, etc.) for their students, providing real life experiences and a source of revenue. While you should definitely take advantage of this wonderful service and real life experience, keep in mind that it only focuses on one slice of the industry. Additional resources are necessary for deeper career guidance. Some schools maintain extensive websites devoted to career and entrepreneurship issues, with articles, podcasts, databases of opportunities, and more. However, even students without this kind of in-house resource can take advantage of sites like www.SavvyMusician.com (for an extensive list of helpful sites, visit The Savvy Musician Resource Center), so don’t discount a school just because it lacks this feature. As you can see, there’s quite a lot that arts schools can do to better prepare students for professional success. Now you know (at least a portion of) what’s available. So if you’re serious about developing into a working artist, make sure you have a clear idea about how each school you consider plans to help you achieve this goal. This way, you’ll have more than outstanding artistic ability and a beautiful diploma to look forward to. You may even have some marketable skills! Not all arts schools are the same. Where you study will have a huge impact on the kind of artist you become, skill sets you develop, and network you cultivate. In order to make a wise decision, many important questions should be posed during the application process. Who will be my primary teacher? How rigorous is the curriculum? Which courses are required? What kinds of experiences are offered? How much scholarship money is available? What’s the town like? But if you’re serious about the prospect of becoming a working artist (as opposed to a really accomplished hobbiest), here’s an essential inquiry: What kind of career training do you offer? This is particularly critical for those with majors like music performance/composition, acting, painting, and dance, where few traditional full time jobs are available and competition is fierce. Insist on specific answers. But, to my great disappointment, many institutions do next to nothing. In some cases, they didn’t even understand the question. With a little digging, it became apparent that little time had been spent pondering this issue. A couple of people commented “huh, that’s a great idea…” As if it never dawned on them that students—who are taking on enormous debt in exchange for educational guidance—would benefit by developing marketable skills during their college years. Of course, few simply admitted “we don’t do careers here.” After fishing to find a suitable response, several explained that “each private teacher works on that in lessons.” Implying that this priority is so central to their mission that every student gets one-on-one career training. Sounds great! But I know better. In an overwhelming majority of cases, this statement is simply false. Don’t just believe me. Ask any music school grad. With few exceptions, these conversations do not happen. Private lessons address performance excellence, developing “chops,” learning literature, and other wonderful things. That’s what they’re supposed to do. But few teachers devote significant time to marketing, developing a niche, building an audience, creating opportunities, personal finance, raising funds, branding, contracting, etc. Many applied teachers, though wonderful musicians, don’t even have a grasp of these issues. And when career matters are mentioned (by good luck as opposed to design), discussions are typically limited to 1-2 lessons out of four years of study. Of course, budgets are tight. I’m sure every school would love to expand in a thousand directions if they had unlimited resources. But they don’t. So universities hire only the faculty they can afford, focusing on topics they value. Every music school offers applied lessons. This means they want students to become better players. All curricula require multiple semesters of music theory and history, demonstrating a commitment to creating well rounded musicians. Feel free to draw analogies to your own field of study. The implications are clear. If a school truly prioritizes preparing viable professionals, in addition to outstanding artists, doesn’t it seem logical that they would hire at least one employee to address this issue? Yet many don’t offer even a single-credit elective course, let alone mandatory training for all. I do not wish to endorse or discount any arts school in this blog. They are all made up of good people, and it is my sincere hope that within the next decade, every program will prioritize the all important subject of careers. Those that don’t simply won’t be able to attract students. But we’re not there yet. Far from it. If you’re a prospective student hopeful to make a living through your art, be sure to choose a school that values career development. And if you’re a faculty member concerned about the future success of your students, but your school fails to deliver adequately, consider broaching the topic with your colleagues and administration. Most artists I know are terrified of failure. They beat themselves up for each mistake, and suffer bouts of depression with each rejection. Failure is viewed as the enemy, and one to be avoided at all costs. So they play it safe. Really safe. But everyone fails. This is a simple fact of life, and there’s no way to avoid it. The important question—what kind of failure are you experiencing? Type A Failure stems from action. You try something, give it your all, but it doesn’t work out. Type B Failure stems from inaction. You do little or nothing, even though it’s important to you. Often this is because you’re paralyzed by the prospect of (ironically) failure. Disenfranchised artists have typically experienced few Type A failures. Expecting a near 100% success rate, they view each bump in the road as an omen. When something doesn’t work out, it causes them to retreat and become a little less ambitious. These individuals start blaming society, the educational system, government, a lack of personal talent, or even the art itself for their disappointments. As a result, a Type B failure of the largest order is suffered. Their career doesn’t work. Their income doesn’t grow. Their dreams aren’t realized. Successful artists have typically experienced an enormous number of Type A failures. Expecting a 1-5% success rate (one triumph out of approximately 20 to 100 attempts), they are shocked and delighted when the results are anything better. Each bump in the road is interpreted as an opportunity or necessary step in the process. When something doesn’t work out, it fills them with determination and ambition. In fact, some successful artists actually proudly maintain rejection letters as badges of honor. After all, they’re out there working to make things happen! And by lighting that many fires, some will surely catch. As a result, their career, income, and dreams build momentum. Everyone hates Type B failures. They may not have the immediate sting of a Type A, but they’re much more damning in the long run. The resultant sense of helplessness and deep dissatisfaction takes a devastating toll over time. Now, don’t get me wrong. Nobody likes Type A failures either. It’s always nicer when things work out the first time. But success can be really hard to achieve when you place all your eggs in one basket (or no basket at all! ), especially in a field as competitive and challenging as the arts. On the other hand, the more failures you allow to accrue, the more successes will likely be picked up along the way. And success begets success. So allow yourself to fail. Hundreds and hundreds of times. Maybe more. With those kinds of numbers, I bet you’ll be impressed with the results. If you really want to succeed, be willing to fail. Love music, but hate to starve? Hoping to achieve more success with your career? Visit www.SavvyMusician.com for a Resource Center with 1000+links, valuable articles, info on the most important music career book in print, and more. In my experience, few things in life are more enjoyable than the act of making music. Music is fun! How wonderful it is that we use the verb “play” to describe this endeavor! Yet for too many musicians, the activity pursued when singing or touching their instrument couldn’t be further from play. Instead they tense up, get nervous, or even break down. “Musicing” is used as a vehicle for proving self-worth. Obsessed with impressing others and (more importantly) themselves, damning condemnations come with every mistake or less than perfect articulation. Each time a note sounds, the ego’s Gestapo-like jury weighs in. And the verdict is usually—guilty. No wonder so many performers look miserable on stage. No wonder so many fail to connect physically with the sounds they create, or invoke even a smile. Who could possibly enjoy this kind of constant, brutal self-interrogation? But take a step back. You’re not exactly doing hard physical labor, fighting a war, or stuck in a boring office job. You get to make music! So love every moment. Successful musical performance is not about perfection. It is about connecting with others. It’s also about empowerment and liberation and a spiritual journey into an extraordinary place that no other human experience can deliver. Music is a blessing. Remember this, with every wrong note you play. Remember this every time you lose a competition or perform less than your best. Be thankful that you can participate in such a miracle. And when you exude exuberant joy through your art, everyone around will cherish the moment as well. We can all use more blissful energy in our life, and music is an ideal tool. I had a revealing exchange with an Indonesian gamelan composer a few years back. He told me that after each performance, the players gathered around and discussed how things went that night. Just like we do. They would recall bloopers from the performance. Just like we do. But then the conversation would take an unfamiliar turn: “Did you hear when I clammed that note during the quiet section?” “Yeah, that was awsome!” And they’d laugh about it. Laugh until they turned purple. No apologies. Ever. Because music is fun. Because music is play. Love music, but hate to starve? Hoping to achieve more success and impact with your musical career? Visit www.SavvyMusician.com, “Home Base for Music Careers,” for a Resource Center with 1000+links, valuable articles, information about the most important music career book in print, and more. Each of the aspects above is indeed important. Now, just because they made our list doesn’t mean that everyone in the room was actively prioritizing them. But, at the least, one of the attendees knew enough to submit the concept. Someone was at least contemplating the weight of these issues. Far more interesting to me, however, are the absolutely critical aspects that failed to make the list. This means not a single participant had even a peripheral awareness that these kinds of priorities would help them thrive. An entrepreneurial mindset. The ability to problem solve and create opportunities. Creativity. To my great surprise, creativity is often omitted. A creative approach impacts every aspect of your career: artistic, marketing, projects pursued, etc. A strong brand. A brand is much more than your name and logo. It is the sum total of how others perceive what you do. What makes you stand out from the pack, and how will potential clients know that? Risk taking. Many artists are terrified of failure. They play it way too safe, buying into the myth that anything less than perfection reflects poorly upon them. Unfortunately, an overly safe approach often results with a failure of the largest order—artistic and professional goals. If you want success, be willing to fail. Financial literacy. Prospering financially doesn’t simply mean raking in piles of cash. Success requires a deep understanding of the money game—earning, spending, and saving. Research skills. The most successful musicians do not constantly reinvent the wheel. Instead they take advantage pre-existing resources. They establish relationships with mentors, embrace artistic modeling, follow helpful blogs, visit libraries, and devour relevant magazines/books. Internet savvy. Most artists understand that without a website they don’t exist, at least not in the eyes of the world. But the Internet offers many other incredible opportunities through social networking, blogging, podcasting, viral sensations, etc. And it’s not enough to simply “do” these things. You must find ways to use them strategically. An understanding and interest in the world. Only those who are engaged in the challenges, values, and realities of their communities are able to create products and services that resonate with others. Successful artists are relevant. Leadership. Those with the courage to lead will be rewarded with success on many levels. Artists who aren’t even aware of these paramount issues operate with a severe handicap. They attempt to play the game, but don’t know the rules. Obviously, this makes the probability of success exceedingly difficult. Visit www.SavvyMusician.com for information about David Cutler’s book (now available!) The Savvy Musician: Building a Career, Earning a Living, & Making a Difference. It addresses the types of issues addressed here in great detail, along with many others. School is back in session! If you’re a student, consider your own approach to education. Which type are you—an average student or an entrepreneurial one? School is preparation for their career. School is an early phase of their career. Music school is in charge of what they will learn. Learners create their own education. Good grades are the goals of education. Good knowledge is the goal of education. The most talented and accomplished musicians will be the most successful ones. Creativity, interpersonal skills, work ethics, and the willingness to take chances are just as important indicators of success, often more. School will teach them the important answers. School can help them figure out the important questions. Curriculum represents a series of hoops to jump through. Curriculum represents a series of opportunities for growth and the development of skills. The curriculum has far too many requirements. The curriculum has far too few requirements. Studies should focus on developing strengths. Addressing weaknesses is equally important. School will help shape their personal identity. The importance of actively shaping the school’s identity as well. Professors are solely teachers. Professors will also be future connections, colleagues, and friends. Classmates are merely other members of their class. Classmates will become some of the most important relationships imaginable. Rules must be followed at all costs. While breaking rules always has consequences, every true visionary has broken rules. 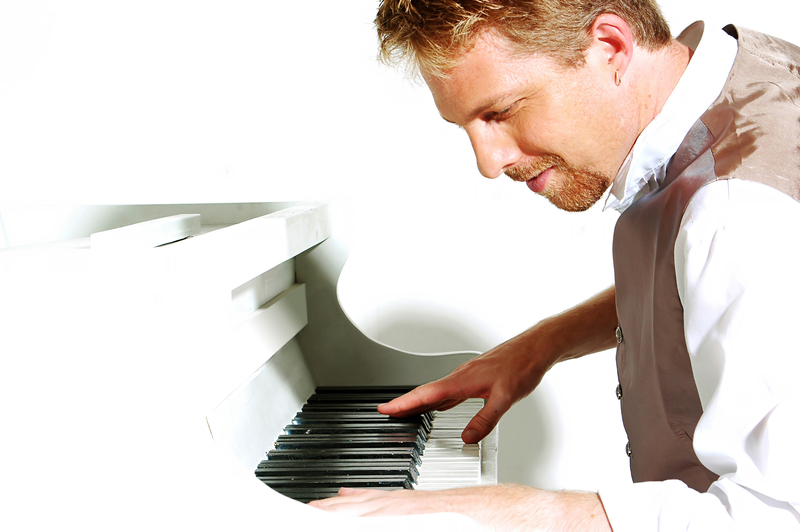 David Cutler balances a varied career as a jazz and classical pianist, composer, arranger, educator, and conductor. Visit www.SavvyMusician.com for information about his book (now available!) The Savvy Musician: Building a Career, Earning a Living, & Making a Difference, a Resource Center with 1000+links, and much more. I recently served on a panel focusing on Entrepreneurship “for Artists and Creative Professionals.” During the discussion, we addressed various exciting ways that creative professionals solve problems in our communities, businesses, government, and schools. We celebrated their potential to lead, innovate, and serve as catalysts for change. The talk was undoubtedly inspiring. Of course, the intent was clear. There exists an assumption that artists are inherently creative. We’re not like mathematicians. Our field is creativity. But is that the reality? And are we training arts students with this goal in mind? In music training (I’m best equipped to address my own field), the unfortunate answer is overwhelmingly no. Students are typically required to follow “correct and authentic performance practices.” Classical majors play standard lit—often chosen by their teachers or ensemble directors—in standard venues, wearing standard attire, for standard (and small) audiences. Composition projects are rare, with improvisational expressions rarer. Risk taking plays no role whatsoever, as mistakes are considered the enemy rather than a healthy and welcome part of the process. And forget about creativity training on larger issues. Oddly absent are discussions on cultural relevance, how to create a viable and prosperous career, or finding solutions to real problems facing our world. Truth be told, we train musicians a lot like math majors. In a world economy/environment where many tasks are outsourced to computers and citizens of third world countries, it’s easy to understand the necessity and power of creativity. And I love the notion that artists have the potential to be important players in today’s paradigm. But artists, as individuals and a community, will only play this role if they are trained accordingly. If arts education continues to focus simply on developing accomplished practitioners (which we currently do quite well), the outcome will be predictable. We will continue to have an army of over-trained, under-employed artists struggling to capitalize on the shrinking number of existing opportunities available to them. But if we somehow modify our educational system to train creative professionals who use their art form as one of several potential tools, the equation will change. Not only will the role of arts organizations grow exponentially, but artists will increasingly become dynamic forces in other sectors. Businesses looking to stand out will favor hiring individuals with arts training. Government will turn to artists to help solve problems of the day—from national security to crime to health care to economic growth to foreign affairs. Schools will hire artists to help restructure curriculum both in and outside the arts. To be sure, “creative professionals” are already doing this important work. But there’s a genuine need for more creative minds, and too few artists are among this group. Of course, there are some, but they develop more by accident than design. By transforming arts education into creativity education with an arts emphasis, we not only help our students, but also our communities and the nation at large. Then, suddenly, everyone will want an arts education. 1) Pay. Will the compensation make it worth your time? 2) Connections. Will it build relationships with potentially important people? 3) Future Projects. Will it open the door to new opportunity? 4) Personal Satisfaction. Will you find fulfillment from the work? 5) Prestige. Will it add to your reputation? 6) Skill Development. Will it help you develop a new ability? 7) Portfolio Building. Will it fill a gap in your work experience? 8) Artistic Challenge. Will it help you grow musically or intellectually? 9) Debt. Will it repay an obligation to someone who has helped you in the past? 10) Service. Will it allow you to contribute something meaningful to the community? 8-10 Take it! This is a dream gig. 5-7 The gig has an incredible amount to offer you. Take it if at all possible. 3-4 This still sounds fairly appealing. As long as you don’t have too much on your plate, take it. 2 If you really need the work, you may need to take it, but in the meantime, try to create some more opportunities for yourself. 1 Only consider this if you are desperate for work. 0 Run and don’t look back. Practice makes perfect. And heaven knows, you need to be perfect. How else will you become the best in the world, and therefore earn the work and opportunities you desire? So you lock yourself in the practice room (or art studio, or wherever you work), and “shed” 12 hours per day. Problem is, no matter how hard you try, there’s always someone better. Actually many, many people. Come on, did you really think you had a shot of becoming the best composer, ballerina, sculptor, bassoonist, actor, or _________ out there? For most of us, the answer is obvious: NO! The bar is simply too high, and there aren’t enough hours in a day (or lifetime) to catch up. The problem is that too many of us are trying to become the best doing exactly the same thing as everyone else. Our categories are too broad, and creativity too narrow. Instead of asking “which steps must I take to outshine the competition?” try another approach: “With my unique personality, interests, talents, training, background, and skills, what could I potentially do better than anyone on the planet?” This is a very different kind of question, eliciting a very different response. I knew a decent pianist. He wasn’t winning competitions or anything (the nice way to say he was losing them), but he was respectable. He also liked to sing. No Pavarotti, mind you, but he had a fine operatic tenor voice and could even hit some “money” notes. So he lived a dual life: some days a pianist, other times a singer. People who heard him in each setting had no inkling about his supplementary talent. They just thought he was pretty good. Not the best in the world, though. I encouraged him to find or create opportunities to combine both together. Could you imagine being at a pretty good classical piano recital where the soloist unexpectedly broke out into song? It would be memorable, newsworthy, and remarkable. That was his ticket to becoming the best. Another approach entails developing broad expertise on a particular topic. Perhaps you love dancing French ballet. Of course, many others do that as well. But you become the world’s leading expert in “all things related.” You study the culture, master the language, learn the trivia. Maybe you spend a few months or years travelling France, and visit every ballet theatre. In addition to dance gigs, you teach French history seminars (always incorporating dance, of course) and write a cookbook on the favorite cuisine of French choreographers. Pretty soon, even films are consulting you about authentic performance practice. After all, you’re the leading authority! Everyone has the potential to become the best in the world at something! Determining your area may require soul searching, but I guarantee this is possible for you. Please note, “world” doesn’t necessarily mean the entire globe. Your world might translate to a particular region or community. So for today, and maybe the next month, why don’t you cut your practicing short by an hour? During that time, figure out what it will really take to become the best. David Cutler balances a varied career as a jazz and classical pianist, composer, arranger, educator, and conductor. Visit www.SavvyMusician.com, “Ground Zero for Music Careers,” for information about his upcoming book The Savvy Musician: Building a Career, Earning a Living, & Making a Difference, a Resource Center with 1000+links, and much more. My last posting stressed the importance of becoming a “you, you, you” outward artist, as opposed to a “me, me, me” inward artist. The attitude you adopt affects every aspect of your artistic life, from product development and projects pursued to marketing and sales. Which kind of artist are you? Please note: though feminine pronouns are used below, neither category is limited by gender! Makes art to show off her talent. Makes art to help the world become a better place in some small way. Delivers work of that is personally interesting, with no consideration of the audience. Delivers work that will also resonate with the audience, considering their unique background, experiences, and interests. Program themes are often connected to community interests, current events, popular hobbies, social issues, educational objectives, solving problems, etc. Ignores the audience perspective. Doesn’t really think about what it’s like to witness her event—she just makes the art. Prioritizes the audience perspective. She considers how the event will look, sound, and feel, contemplating the psychological journey spectators will traverse. Favors art that is fun to produce. Favors art that is fun to experience. Ignores viewers during performances. Engages viewers through dialogue, banter, humor, and/or interactive activities. Hides out during intermission and flees after the show finale. Mingles with fans at every opportunity, continuing and building relationships. Focuses post-event dialogue on herself: her mistakes, accomplishments, and vision. Focuses post-event dialogue on her fans: your experience, thoughts, and interests. Shows self-interest in conversations, sharing a lot of answers. Shows curiosity in conversations, asking a lot of questions. Is largely inflexible, insisting on optimal conditions at every turn. Bends over backwards to accommodate employers and enthusiasts. Produces promotional materials that read like laundry lists of accomplishments. Others are impressed by how much she’s done and how phenomenal she is. Produces promotional materials that establish credibility, but also show how her art will benefit you. Focuses job and grant application letters on how the opportunity will benefit her. Emphasizes how her employment/project would benefit the institution or community. Pursues “vanity” projects. Pursues projects valuable to others. Networks only to get ahead. Also networks to extend a helping hand, understanding that relationships go both ways. Locks herself in a practice room or art studio ad nauseum, with few outside interests. Cares about the world at large, staying informed about current events, industry trends, community affairs, social causes, etc. Prioritizes becoming a great artist. Also prioritizes being a great human being. Aspires to amaze people with her high level talent. Aspires to make a true difference and leave lasting legacies. Is it any wonder that outward artists experience much greater levels of success? Yes, the subject of arts entrepreneurship is in vogue these days. It’s no longer gauche to discuss the business aspects of a career. That’s great news for artists that prefer not to live a destitute existence. But what exactly does arts entrepreneurship constitute? For universities embracing this topic, classes typically cover a lot of ground: writing resumes, developing websites, copyright law, forming a nonprofit, filing taxes. While all these lessons are valuable indeed, one vital aspect seems to be consistently ignored: product development. Instead, the lessons taught suggest that if you simply become more business savvy and employ great marketing tactics, you will find success. Well, I have news for you. If people aren’t interest in the art you’re peddling, sales will be dismal! Not all products have the potential to thrive, even if your marketing campaign is the most exciting thing since the Gecko signed on with Geico. So I’d like to focus the next several postings on this critical issue—What art do you deliver? What makes your product(s) viable? I was recently one of a handful of people to attend a music recital. The “crowd” reacted unenthusiastically to the performance of a strange assortment of compositions, even though the playing was strong. After the show, it became apparent that the musician was disappointed. He worked so hard. Why weren’t more people interested? And why didn’t those who attended reward him with passionate ovations? So I asked, “Why did you program this particular collection of pieces?” The response was predictable: “I’ve always loved these works.” In other words, he chose what he wanted to play, without ever considering the perspective of his audience. Me, me, me. This self-indulgent, inward-looking perspective runs rampant among artists. Is it any wonder the performance was a flop? It’s analogous to the time Homer Simpson gifted Marge a bowling ball. Why wouldn’t she love partaking in his favorite activity? No successful industry operates like this. Restaurants serve cuisine that customers enjoy. Movie theaters show films people want to see. Stores sell merchandise that consumers need (or at least have been convinced they need). If not, they usually fail, and quickly. Now, I’m completely in favor of producing art that is personally meaningful. Of course, there is a place for compositions that are more fun to perform than hear, dances more interesting to choreograph than watch, and painting techniques more fulfilling to master than examine. By all means, explore these paths. Savor the challenges, and use them to nurture personal growth. Arts Entrepreneurship? Um, why should I care? Entrepreneurship is quite the buzzword these days. Even in the arts world. There are now arts entrepreneurship courses, conferences, books, discussion groups, think tanks, and even this website: www.EntrepreneurTheArts.com. Well, it is a cool word (if you could only learn to spell it…), but it sounds so “business-y.” Didn’t you become an artist, at least in part, to embrace a creative and meaningful livelihood far outside the business sector? What could arts entrepreneurship possibly have to offer you? A lot! In fact, it could hold the very key to reaching your professional goals, personal ambitions, and artistic dreams. But first, you have to understand what the concept means. Only then can you fathom the true potential it holds. According to the American Heritage Dictionary, an entrepreneur is “a person who organizes, operates, and assumes risk for a business venture.” With this definition, someone who buys and runs a Starbucks or McDonalds franchise would qualify. Others argue that a true Entrepreneur, with a capital E, is someone who creates a totally unique enterprise. Many people already operate coffee or burger joints; real Entrepreneurs invent novel concepts. Hmmmm…in all likeliness, neither of those definitions have much to do with you. Here’s what entrepreneurship means to me: individuals who take control of their lives, create opportunities, think outside the box, get the “big picture,” and are not afraid to question conventional wisdom. Under this definition, entrepreneurial inclinations also influence artistic, educational, or personal decisions, even when no finances are involved. It’s a type of problem solving. Even artists with traditional 9-5 jobs can benefit from these principles. Entrepreneurship equals creativity—as much an attitude as it is a business practice. Enhance financial gain. Entrepreneurs discover and create opportunities for earning income, regardless of environment. Even artists with traditional jobs can benefit from generating additional work. Stand out. Many arts opportunities are cutthroat to obtain. Creative entrepreneurs have an edge on those who have simply pursued a normal path. Address job demands. Aspects of many arts jobs, even traditional ones, require entrepreneurial solutions (recruiting students, attracting audiences, etc.). Ensure a legacy. Most artists hope to make some sort of meaningful positive difference in the lives of others. Entrepreneurial actions can result in powerful legacies. As a blogger, I will be addressing a variety of financial, artistic, and personal issues designed to help you—the artist—thrive. Sometimes this means creative visioning. In other cases, it entails examining the nitty-gritty of arts business realities. Whether we call these explorations “Strategies for Reaching Life Goals as an Artist” or simply “Arts Entrepreneurship,” I sincerely hope you will care. Because at the heart of every post will be a single priority: your success.